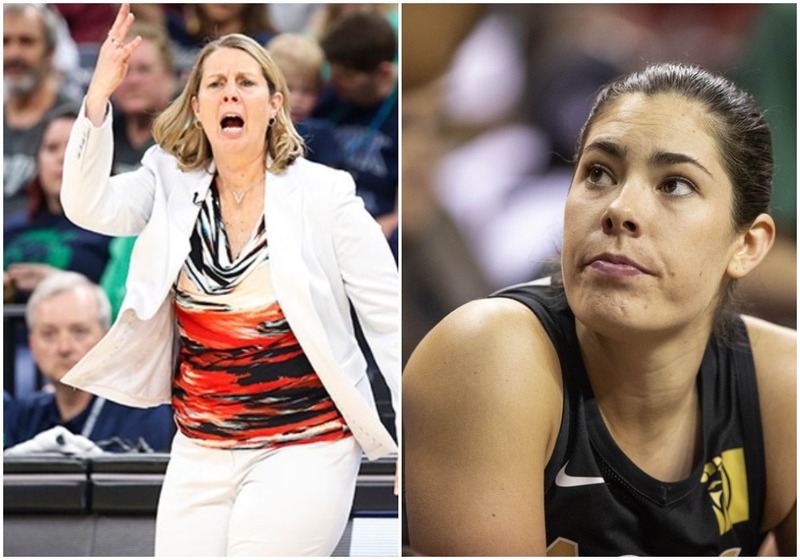 When the Lynx and Las Vegas played in Las Vegas last month, young Aces guard Kelsey Plum got a lesson she hasn’t been allowed to forget. When the Lynx and Aces played in Las Vegas last month, the Lynx got just about everything they could have wanted. And young Aces guard Kelsey Plum got a lesson she hasn’t been allowed to forget. During a halftime interview, Plum was asked about the Lynx. She said some flattering things about Minnesota — which had jumped out to a 10-point lead at the end of the first quarter — but afterward there was just one word that mattered: old. Plum had used that descriptor for the veteran Lynx, and you better believe they noticed. After cruising to an 88-73 victory — their fourth in what would become a seven-game winning streak after a 3-6 start — Lynx coach Cheryl Reeve tweeted “old looks good on ya” and tagged Plum in the tweet. The Lynx twitter feed added onto it with a video of Plum saying “old” over and over. It went viral, including several views from Lynx players over dinner that night in Vegas. With the Lynx set to face the Aces at Target Center on Friday in the first meeting between the teams since the “old” incident, I wanted to know where things stood. At Aces shootaround Friday morning — where all the court lights at Target Center mysteriously went out for about five minutes, by the way — I had the chance to talk to Plum. I could tell she didn’t really want to talk about it, but she was gracious in the interview and tried once again to explain herself. Afterward, as she shot baskets with teammates, they razzed her a little bit. One of them said, matter-of-factly, that the Lynx are even older now than the first time these teams played last month. But at the same time, Whalen also appreciated Reeve tweet and subsequent comments about the perceived slight. Maybe the Lynx used it as motivation. Maybe they’ll continue to do so in the rematch Friday, or maybe Plum will win one for youth. Whatever the case, this much is certain: Plum will never call the Lynx old again, and for good reason.